The kitchen wasn't an area that I was concerned about making feel particularly 'homey,' but it was the area that was driving me the most nuts in terms of little organizational things being out of place. It just wasn't functioning the best that it could be, and it was way too easy for clutter to build up in certain places. 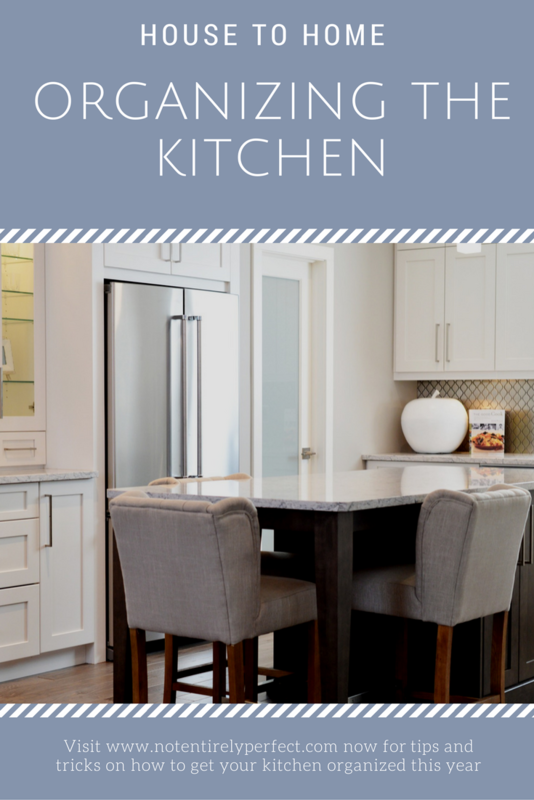 If you're struggling with kitchen organization too, here's the checklist I used to declutter my own cabinets. I finally put the new spice rack into the cabinet, which maximizes the space and looks much neater. I also put a lot of the pantry items into my mason jars. I decluttered extra kitchen items we never used - the extra glassware, the old pots and pans, the crockpot that stopped working. I decluttered expired food and anything I knew wouldn't get eaten. 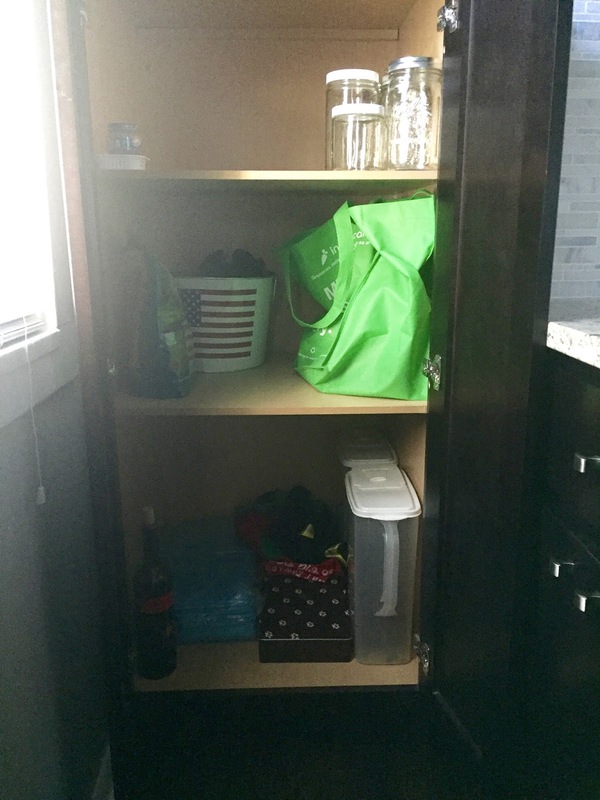 I placed these black bins that John got me for Christmas into the cabinet so we could store things like garlic, onions, and potatoes, as well as just to corral some of John's snacks. And of course, I got the random bug spray out of this cabinet and into the bathroom, where it should be. There's still a couple of things I want to update, but since I'm on a shopping ban, it just won't happen right now. I'm okay with that, it gives me time to really work with this new setup and shop around for the best options. I love how it looks now though, and it's much less frustrating. I like to keep the counters clear (which they are now! ), and I don't like things on the wall, so I don't envision this space getting any more 'decorated,' but that works with the modern style of the kitchen. I consider that a 'house to home' success!